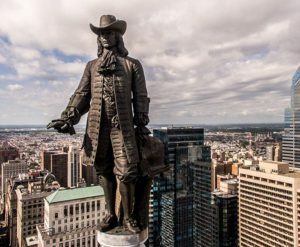 Take a walk with William Penn, a valiant challenger of religious and political intolerance in England in the mid-1600’s. 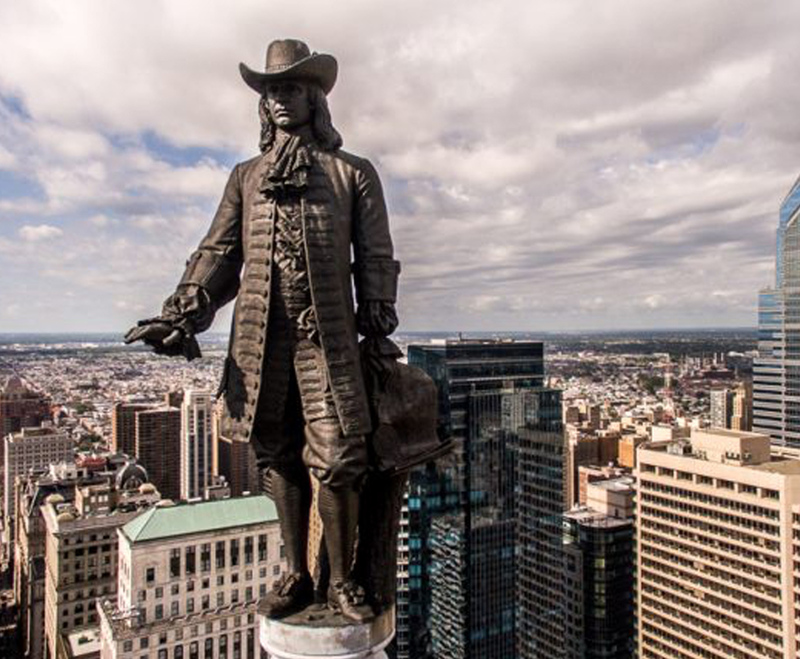 He came to Philadelphia in 1682 to establish his utopian society. His appeal reached those who were oppressed in Europe and then oppressed again in the New World. Witness Penn’s legacy as you discover what a Quaker Meeting house, an Anglican church, a Jewish synagogue, a Catholic church, Welcome Park, and the Liberty Bell all have in common. Be prepared to be surprised and inspired. Wear comfortable shoes. The tour is 2 hours with easy walking 2-4 blocks between sites. Meet instructor at the Philly Tour Hub at 229 Arch Street. The tour ends at 2nd & Walnut Streets.